Building envelope contractor focused on customer service with a problem solving mentality. Re-roofing has been our core service since 1981. 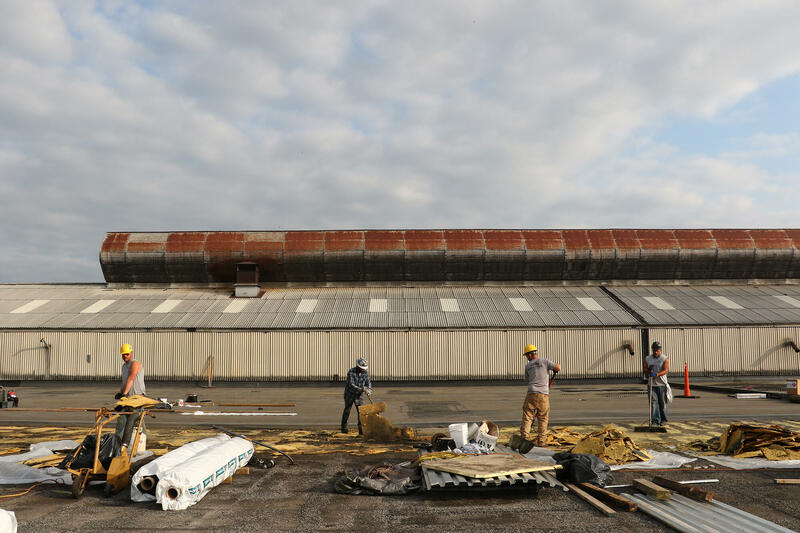 And no matter what key process or asset is housed inside your building, we have the experience and capacity to take on a re-roofing project geared towards helping you protect your investments. From metal to membrane, we’ve got you covered. Over the last few decades of serving business owners and repairing older buildings, we’ve developed strong relationships with other trades and have been involved in managing projects that go beyond our in-house capabilities; such projects include masonry restoration, industrial painting, asbestos abatement, HVAC installation, and more. Strong, customizable, cost effective, while serving a wide range of needs - that’s pre-engineered metal buildings, or PEMBs. We provide, service, design, and install a PEMBs that fulfill your project goals. Wall systems and roofing often go together as part of what’s called the “building envelop.” Basically, the goal is the same… keep the elements outside and keep the processes inside. Our expertise in solving roof leaks has translated naturally to our ability to solve complex waterproofing issues throughout the entire building envelop. Industrial buildings are systems designed to function as the sum of many parts: structure, HVAC, roofing, walls, electrical - the list goes on. And like any systems, buildings can benefit from upgrades that help enhance the form or function of the system. Some examples of past upgrades include gutter replacement, roof drain installations, siding replacement, HVAC unit curb flashing, etc. You know the cliche 'no job is too small?' Well, we believe that. We’ve dedicated a segment of our business to helping our customers maintain the watertightness of their building when re-roofing isn’t an immediate option. Using our time-tested method of water testing leaks, we can pinpoint the source of leak problems and work with you to create a solution that fits your need and your budget. Momentum Builders, Inc. is a premier building envelope contractor with a drug-free in house workforce and a strong record of safety. We specialize in roofing, siding, and pre-engineered building erection. Momentum Builders, Inc. offers a full range of industrial and commercial construction solutions to serve your building envelope needs. With our ability to cover the full spectrum - from structural steel, to pre engineered building erection, siding, sheeting, roofing, waterproofing and leak repair - we offer the unique ability to solve problems that cross the lines of traditional trade divisions. Copyright © 2017 Momentum Builders Inc.